Living in the OC: Double JJ ‘legend’ planted Sherwood Forest. ‘Living in the OC’ is sponsored by Springstead Law Offices, with locations in Hart and Fremont, 231-873-4022 (Hart), www.springsteadlaw.com. ROTHBURY — The legendary Wally Wojack, 88, of the Double JJ Resort has accomplished many feats in his life that most of us can only dream of, such as being a highly-decorated World War II veteran; starting a company from the ground up that ultimately earned him millions of dollars and many accolades; learning to fly an airplane; and even working as a sheriff’s deputy. But something that stands out, particularly among the millennial generation, is that Wally planted what is now famously known as “Sherwood Forest” at the resort. 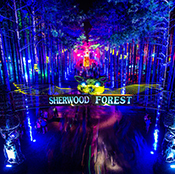 The beloved Sherwood Forest is an iconic attraction of the Electric Forest Festival held each summer at Double JJ. 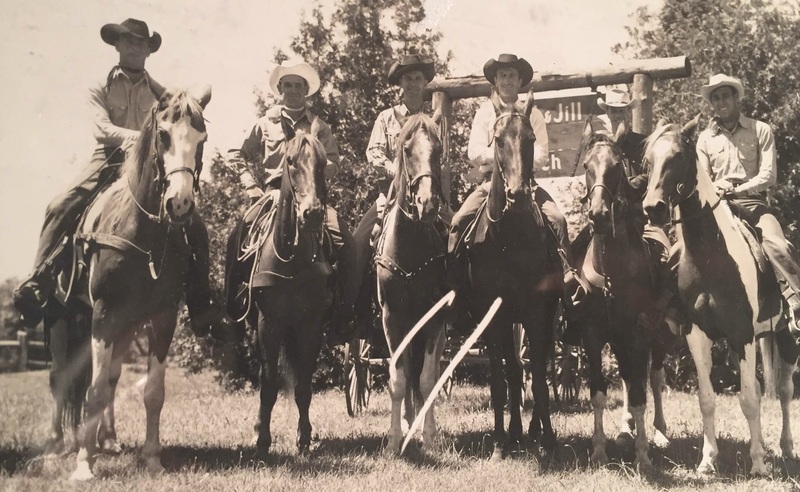 The Storm Family, original owners of the Double JJ Ranch. acre ranch, was partial owner of the resort with Bob Lipsitz for 17 years, he said. The ranch was established in 1934 by the George and Sunny Storm Family. “It was perfect for young adults,” he recalled. “It was the first Club Med idea in the United States.” Now, over 80 years later, the resort is a haven for young adults having fun during Electric Forest. 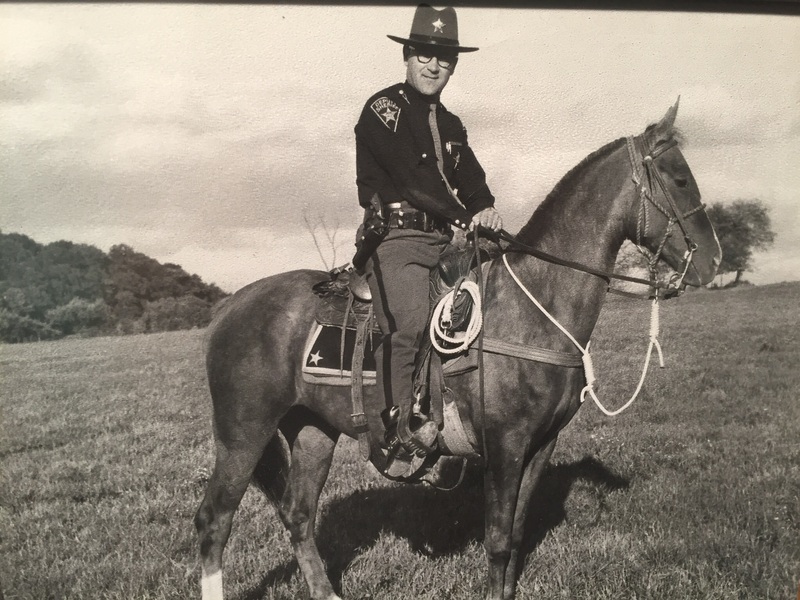 Wally as a sheriff’s deputy in Akron, Ohio. As soon as Wally arrived, he knew that he found something magical. “I fell in love with the place,” he said. Double JJ wranglers in 1948. Wally said he formed a “planting party” to transform a barren hayfield into a flourishing forest. The planting crew completed the task in just two morning sessions, he said. “The hardwoods were wiped out during the lumber era,” he recalled. 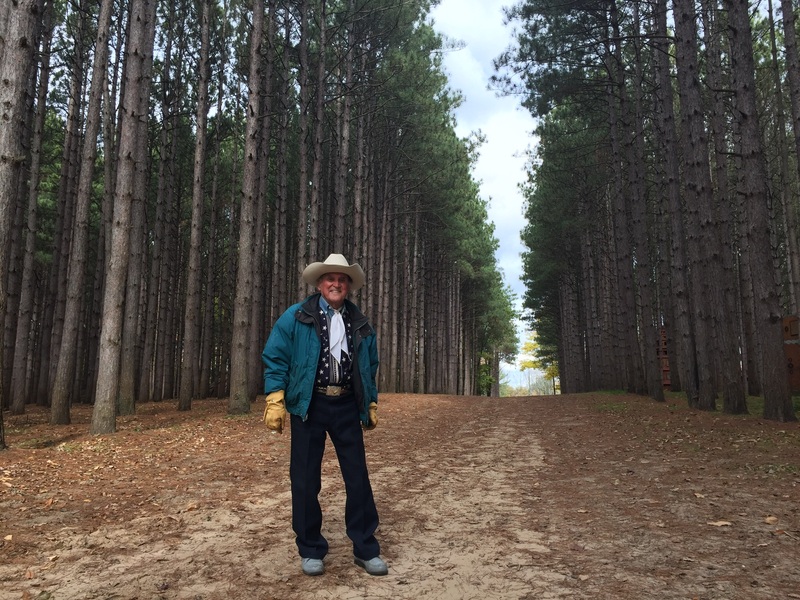 So, the State of Michigan furnished 6-inch-tall white pine seedlings to the ranch, as well as many other locations across the state, to resurrect the beautiful forests. Those tiny seedlings have grown into majestic trees now approximately 70 feet tall. 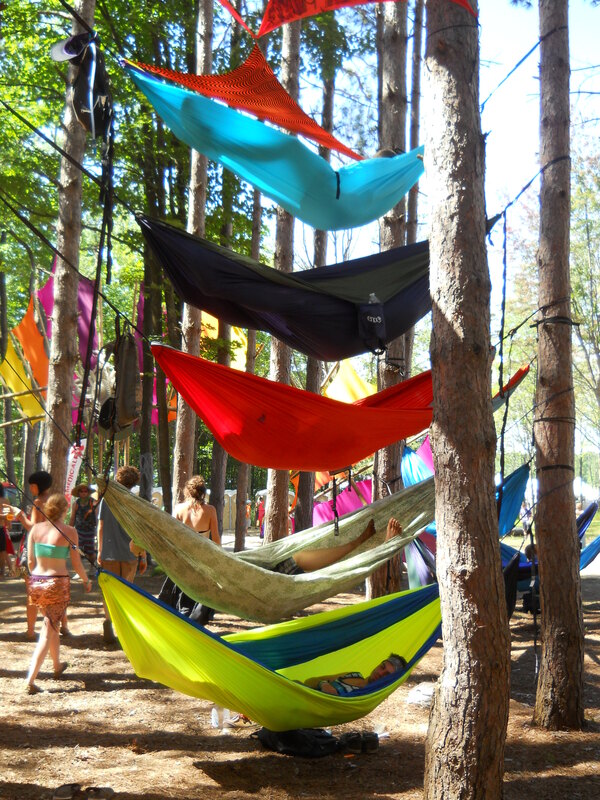 Hammocks in the Sherwood Forest during Electric Forest. States and beyond to enjoy the magic of Sherwood Forest. “The whole festival revolves around the forest,” he said. transformations at Double JJ over the decades. He was against the $40 million expansion of the resort to include the water park and many other amenities, which ultimately led to its bankruptcy under his and Lipsitz’s ownership. “I lost $8 million,” he said. 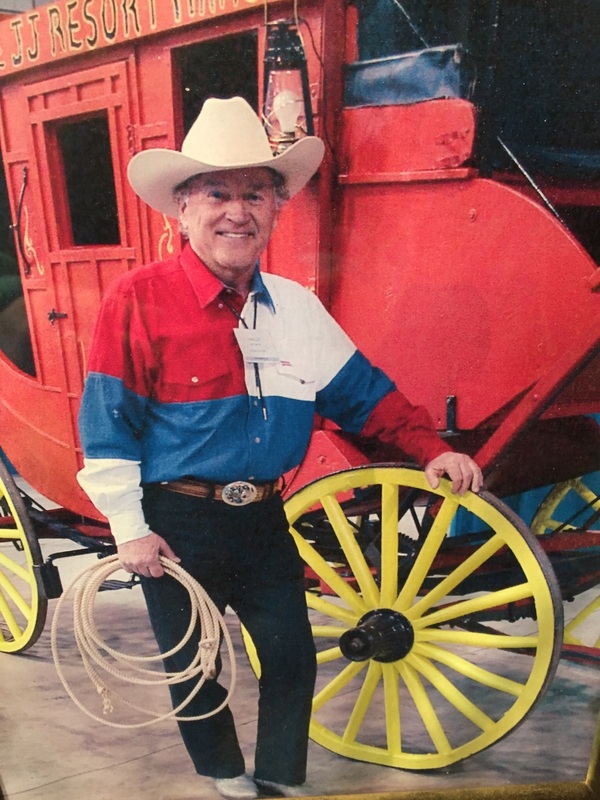 “It was a business deal that went sour.” Despite the huge financial loss, Wally’s love for the ranch remains strong. company for 27 years with two partners. The entrepreneur was honored by the City of Canton, Ohio in 1989 – an accolade for which he is rightfully proud. He ultimately sold the company for $28 million. Prior to launching his business, Wally worked for General Electric for 16 years. Wally lived in poverty as a child during the Great Depression, but his strong work ethic eventually resulted in his huge success as an adult. He was a “precocious kid,” who joined the US Coast Guard at the age of 15 by using his older brother’s birth certificate. As a deckhand on a warship, he was hit in the chin with a piece of shrapnel during the the Battle of Leyte Gulf. That battle is generally considered to be the largest naval battle of World War II and, by some criteria, possibly the largest naval battle in history. The force of the hit caused him to be thrown into the ocean. “I felt like I was hit by baseball bat, and then I ended up in the water,” he said. Miraculously, a fellow soldier pulled him out by grabbing the neck of his shirt. Wally spent six weeks in a MASH hospital recovering from a severe concussion. Returning to Ohio as a decorated WWII vet, the teenager focused on his education. “I was almost a lunatic when it came to studying,” he said. That “lunacy” resulted in Wally completing four years of high school studies in just one year and nine months. 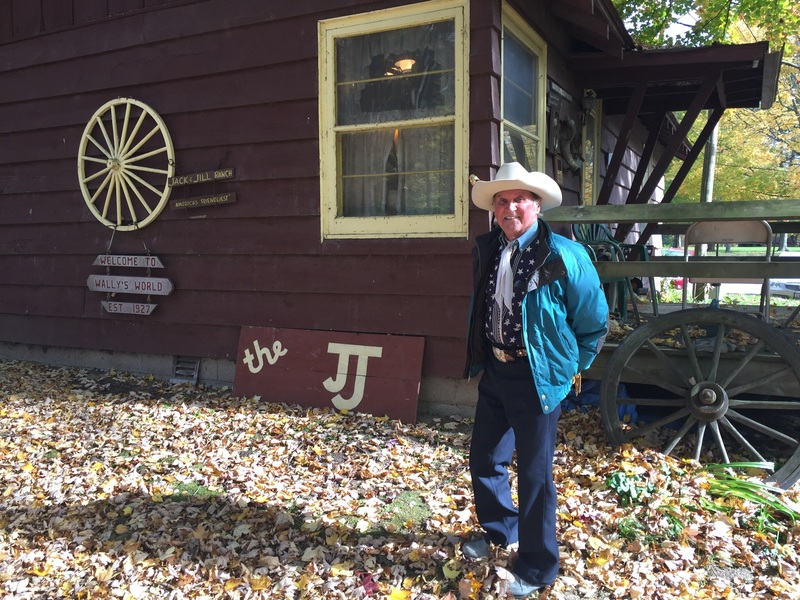 Wally has so many stories about the history of the ranch, such as how it got its name. 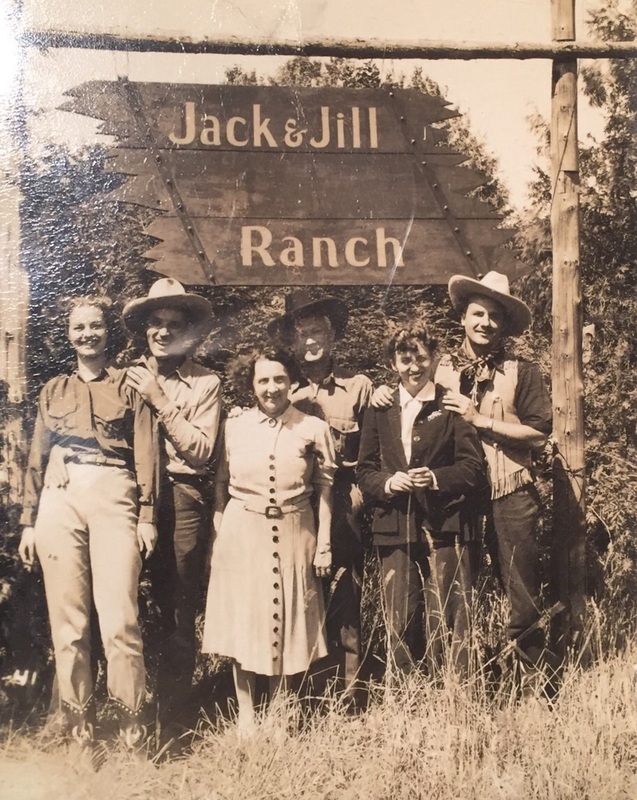 The original owner’s wife, Sunny Storm, named it the “Jack and Jill” Ranch, because one of its earliest uses was for church kids to stay there during the summer. She named it “in honor of the kids running around,” he said. Wally, who turns 89 next Wednesday Nov. 2, has a youthful glow. He still rides his horse and his quad, and he remains dedicated to those who are chronologically young. He dresses up as Santa Claus for Christmas events at the ranch and he also attends the Electric Forest Festival every year. “I love those kids,” he said with his ever-present smile. It seems as if his love for youth keeps him young.